If you go down Monimail Road today, your in for a big surprise! 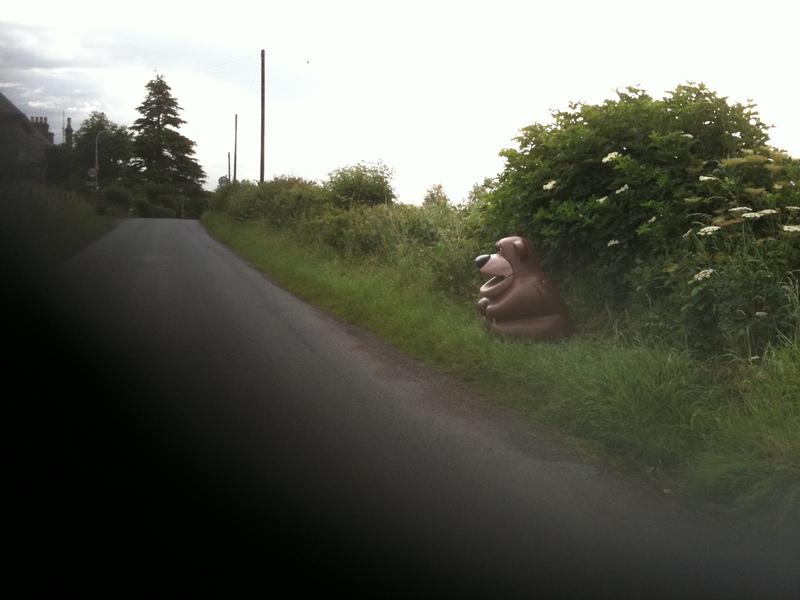 If you go down Monimail Road today, your in for a big suprise….well I was! Police in North East Fife are currently investigating the thoughtless theft of a school bin in the shape of a bear taken from Letham School. Police were alerted on Monday 28 June that the dustbin, valued at nearly £200, had been stolen from the school playground. “The bin was last seen by school staff on Friday 25 June. On returning after the weekend, the theft was discovered. Well good news.. On returning from a Night shift at T in The Park, I was met with this sight just outside the village. Having walked on the road earlier that evening, it was obvious that the bin had been left there under the cover of dark. So one £200 bin recovered and after fingerprinting and DNA swabs being taken was returned to the school.